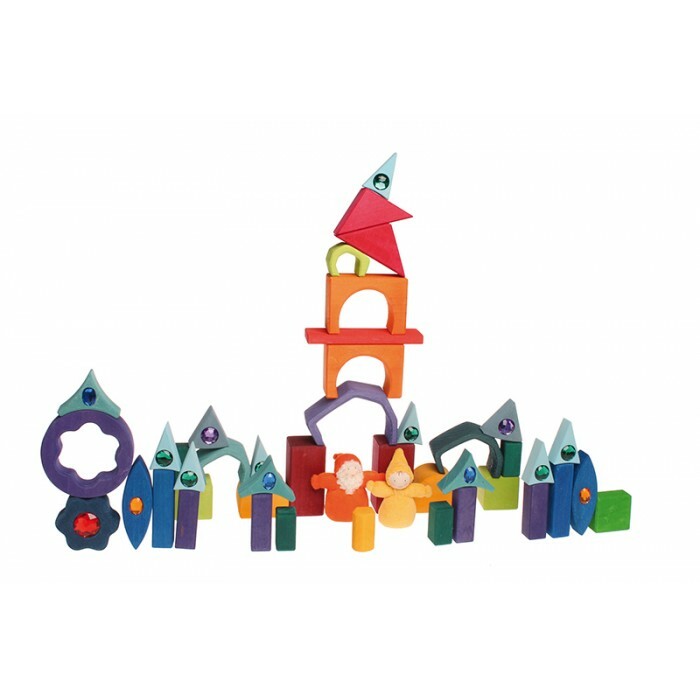 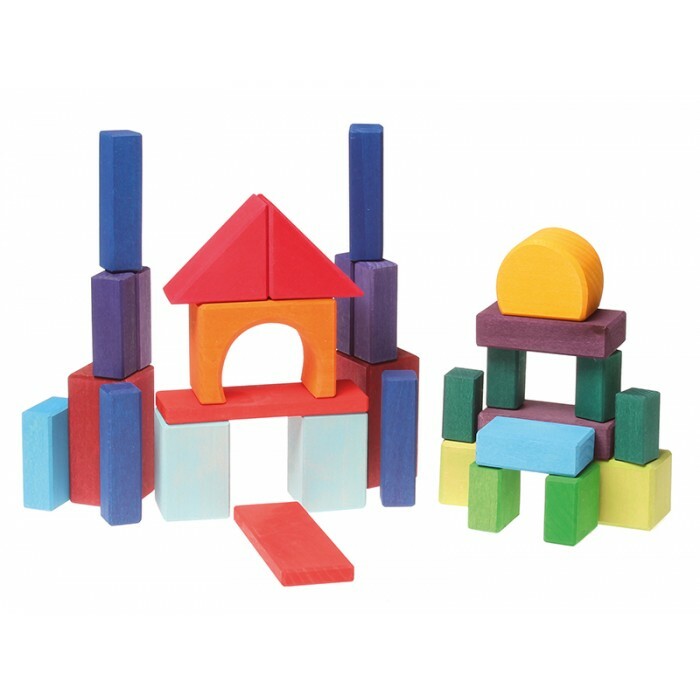 From easy to challenging, these building blocks sets are a constant companion throughout childhood! 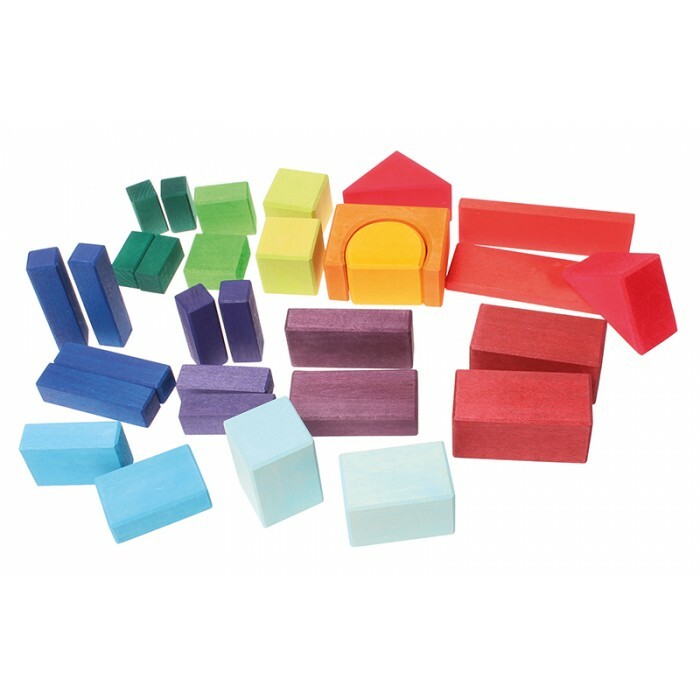 30 classic geometrical building blocks in a net bag. 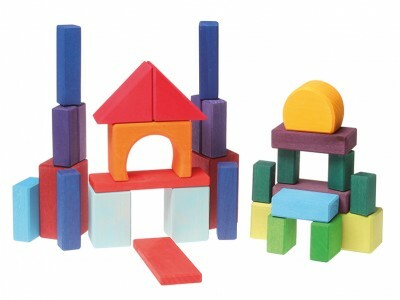 Materials: non-toxic water based color stain. 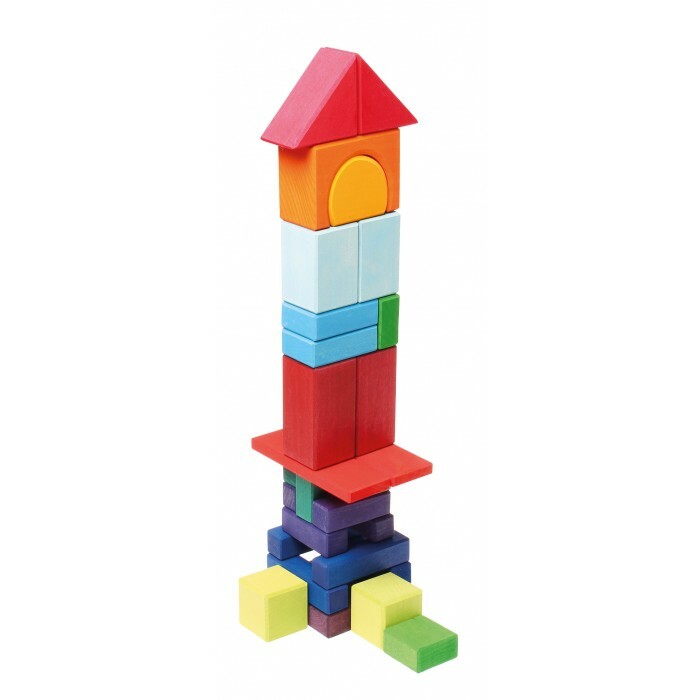 Size: 1cm, 2cm and 4cm thickness.